How to map raw query search to a model with child object? how i can convert string consisting of JSon Objects into array of Bson Documents? I'm trying to create a Web API. I'm using Entity Framework here, code first approach. This is a n-tier architecture. Meaning, I have created multiple projects in a single solution as shown below. I have a controller method which is a get method. I will pass userid as the parameter. var values = context.AccountDetails.FirstOrDefault(x => x.UserId == userId); // context is null here. When I run this application, I get an exception saying context is null in DAL method (where I have put comment). How do I create an object for DataContext? Can anyone help me here? It's very important. Thank you very much. I am writing an Edit method for my C.R.U.D application but I am stuck with updating user role. I am trying to iterate through user roles and assign user role is not already assigned role. I get an error saying,foreach cannot operate on variables of type 'Task<IList<string>>' because 'Task<IList<string>>' does not contain a public instance definition for 'GetEnumerator' How can I fix this ? OR What is a better way to approach this? I am currently building a RESTful web API using ASP.Net Core. We have a database up and running with a User table that keeps track of various info on user accounts including their role (admin, regular, etc.). My question is what is the best practice to handle authenticating users and accessing their role type? I have previous experience using node.js to build a similar API. In this case, I had an API endpoint where the user could post a session (essentially logging in). If this was authenticated by the database things like the user's email and role where stored in a session and a cookie was returned to the client. Then throughout the application I could access the user's role if needed. Should I do this in a similar way in .Net Core? I know there is a Session object I can use that is essentially a hash-table. However, I have heard this is bad practice in ASP.Net since it isn't strongly typed and indexed with strings. After some research, I came upon the class RoleManager. Is this what I want or is there a better way? You need to provide the ability to Add new user to the same collection, update and delete by Id. You need to provide the ability to search Users by the following filters on the same function (POST Method). - Search By name - Search By username - Search By address.zipcode - search By company.name You can have multiple search filters at the same time. Search response returns list of users matching the filter criteria. All API Methods should be authenticated using username and password in the request header. Expose the Web API using swagger. I want an expert advice about implementing authorization in asp.net cor2.2 webapi. I have already implemented authentication using JWT. Now just want to authorize the user to call a controller method. Either i need to caching the Roleright table from database or need to implement some session technique. Currently, i am trying to use memcached to store role rights table from database and check from memcached on each request. I have an Xamarin Forms app with prism Dryioc 7.1, and I had landed on the following problem: A second operation started on this context before a previous operation completed. That fixed my problem until I added tabbed pages on the XF app, because all tabbed pages initialize at the same time, I'm having concurrent Services classes accessing my DBContext, on which I had assumption they were different instances, at least when they are created they have a different GUID, however seems that every time my DBContext is disposed, dispose all instances of DBContext, I created a simple tabbed page app in XF with Prism that replicates my problem, when I use my DBContext on Web Server I create scopes, however with prism I can't seem able to do, because if I try to inject IContainerRegistry and IContainerProvider on my Service Class just doesn't work my app. Error: System.ObjectDisposedException: Cannot access a disposed object. A common cause of this error is disposing a context that was resolved from dependency injection and then later trying to use the same context instance elsewhere in your application. This may occur if you are calling Dispose() on the context, or wrapping the context in a using statement. If you are using dependency injection, you should let the dependency injection container take care of disposing context instances. 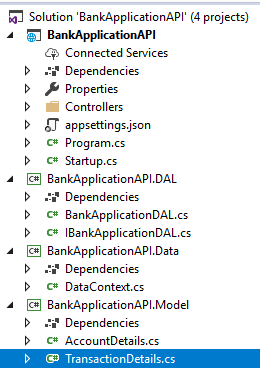 Object name: 'ApplicationDbContext'. I am trying to add "AsNoTracking" to some of my DB calls, but I keep running into problems. If I remove AsNoTracking, the code works fine, but if I add them I get a few errors which does not make much sense to me. I have tried setting MultipleActiveResultSets=True but it does not make a difference. I have tried using a new DbContext for each DB call, but I cant fully understand if that is a good idea or not.